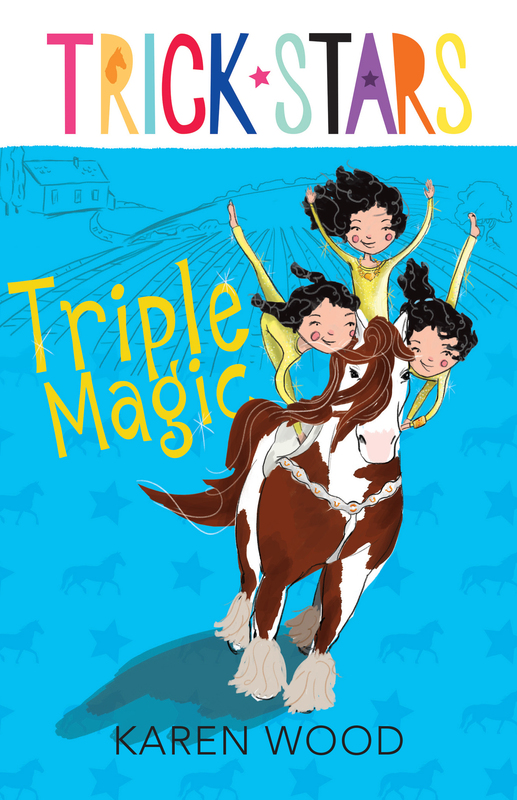 Ruby and her sisters dream of a life far from Windara Farm, performing spectacular tricks on their beautiful gypsy cob horses. Then Ruby discovers an old trunk in the stable loft, full of family secrets and a touch of magic. Why has Grampy kept the past hidden for so long? Will he allow the triplets to follow in the stirrups of their ancestors? The Trickstars Adventure series is six books about triplets living on Windara Farm and the adventures they have. The stories are simple but the chapter style of the book make them accessible to beginning and established readers. It is a series that girls rather than boys will pick up because of the horse ownership story line and the fact that the three main characters are girls. The story is classic in that there is a problem and excitement builds before the resolution. The reader must keep reading to find out how the story will end. This is not your Saddle Club type of story about horse ownership however, having magic as a key component. Also the characters are strong and modern which is sure to engage many readers. It is interesting the way the author has introduced the characters in the first book and then spent the next three focusing on each of the characters and developing our knowledge of them. It means that readers will have a favourite book- the one that is about their favourite character. 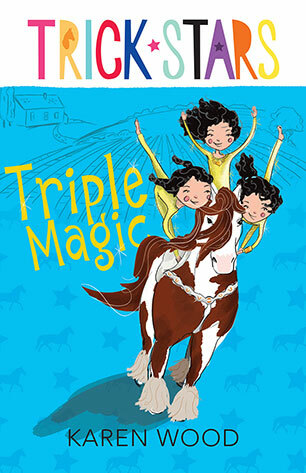 An advantage for teachers is that they can recommend the first book Trickstars Triple Magic and know that if it interests their student they have another five books they can pass on. This is always a great hook to use with reluctant readers. There aren’t any illustrations except for the small pictures at the beginning of chapters. They do tie into the action in the coming chapter. This series will be a favourite with mostly girls from ages 7-12 years.